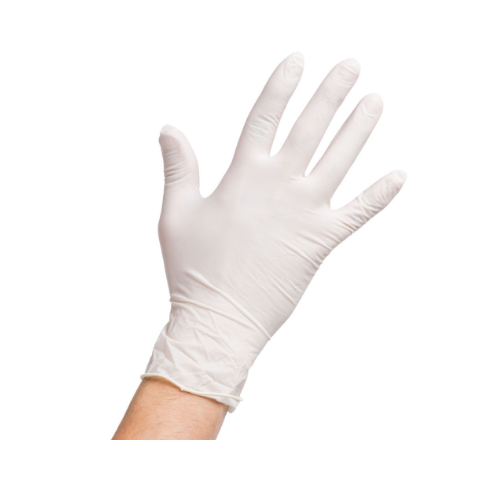 By keeping track with the market developments, we are occupied in offering an extensive range of Latex Examination Gloves for Food Handling. It is widely used at different commercial sector. Designed and developed using world class components with the help of latest technology, this product are also well processed at hygienic environment. This Latex Examination Gloves for Food Handling is available at very reasonable price. Vijayalakshmi Health & Surgicals Private Limited has established strong foothold in the industry within a very short period of time. Established in 2011, we have placed a distinguished status for ourselves in industry by endlessly manufacturing, supplying and exporting a comprehensive array of Latex Surgical Gloves & Latex Examination Gloves. Manufactured utilizing qualitative raw material, our products are acknowledged for their features such as extra strength, elasticity, softness, completely anatomical designs and many others. We are an ISO 13485:2003 and ISO 9001:2008 certified company. By manufacturing qualitative range of products, we have been successful in expanding our manufacturing capacity up to 12 million approximately. Apart from this, we have adopted advanced techniques of production, to improve the capacity of production and serve to the ever rising desires of clients efficiently. Besides, we focus on satisfying customers with products they desired for and as a result of this, we have been successful in enlarging our satisfied base of customers across the country. Our company is standing upon well built infrastructural facility and striving constantly for innovations, enhancements as well as setting new benchmarks to exceed the expectations of clients. We export our products to South Africa, Nepal, Iran, Europe & Arab Countries.